On November 2nd, 1920, Louisvillians voted on the University of Louisville's municipal bond issue for using $1 Million of taxpayer money to expand it's Belknap Campus. The bond issue needed a two-thirds 'affirmative' vote for passage, but the bond issue failed by more than four thousand votes. The University of Louisville's written history by the the University Archives and Records Center states that the university at the time believed that only the passage of this bond issue would insure the University's future but the municipal bond was defeated by a concerted effort by the African American community in Louisville using the power of the vote to voice their needs. U of L at that time did not accept black students, and yet was looking for taxpayer money to fund the institution. According to The University of Louisville, a written history of the University by Dwayne D. Cox and William J. Morison, The black community expressed their opposition on the grounds that tax dollars from black Louisvillians would be used to support higher education for white students only, they forced the university and the city to make funds available for African American higher education if they wanted to see the bond issue pass. The University worked with leaders in the black community who wanted an African American liberal arts university established in Louisville. The University of Louisville Trustees agreed to set aside 10% of the $1 million bond issue ($100,000) for this purpose and in 1925 the bond issue was passed due to the support of the black community. On February 9, 1931, the Louisville Municipal College for Negroes opened under the administration of the Board of Trustees of the University of Louisville, for the purpose of meeting the higher education needs of the black community. With 6 faculty members, under the instruction of Dr. Rufus Clement as Dean, the school offered a four year liberal arts curriculum and had a inaugural class of 83 students. 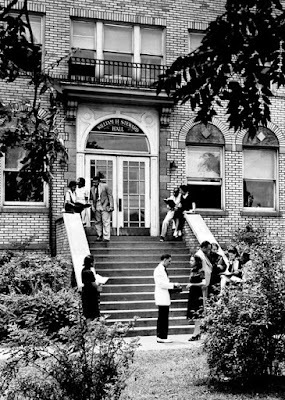 The Louisville Municipal College was one of only three liberal arts colleges for African Americans established in the United States at that time and operated for 20 years, with Florence Johnson as its first graduate and graduating more than 500 students by the time it closed in 1952.